Pumpkin is in the squash family and can easily be baked to prepare the pulp for use in pumpkin recipes. Choose a sweet pie pumpkin or other cooking pumpkin for best results. That jack-o-lantern pumpkin, if still fresh, can also be used. Make 5-6 deep slits in the outer skin with a large knife. Place the pumpkin in a baking dish or on a baking sheet lined with foil or parchment paper. Bake at 350 degress for 1 hour or until a fork easily pokes through the skin. Let cool slightly. Then cut in half. Scoop out the stringy pulp and seeds. Save the seeds to dry and roast. Scoop out the remaining pulp, a small amount at a time, and puree in a food processor or mash through a colander. Your puree is now ready for your favorite pumpkin recipes. Pumpkin puree will freeze well. Store in amounts called for in your recipes. If your puree is too watery after processing, put in a bowl and put it in the refrigerator. After a day or two the water will rise to the top and can be poured off. Then freeze. *If your pumpkin is too large for your oven “whole” cut it in half (either direction) after washing. Clean out the stringy pulp and seeds now, if you wish. Place on a baking sheet, skin side up. You do not need to slit the skin. Cool and process as explained above. Mix all ingredients together and bake in 9 x13 pan for 25 minutes at 350 degrees. Cool slightly. For icing, beat cream cheese and margarine, add vanilla, mix in powdered sugar until smooth. Spread over pumpkin bars. Slice into squares and enjoy! 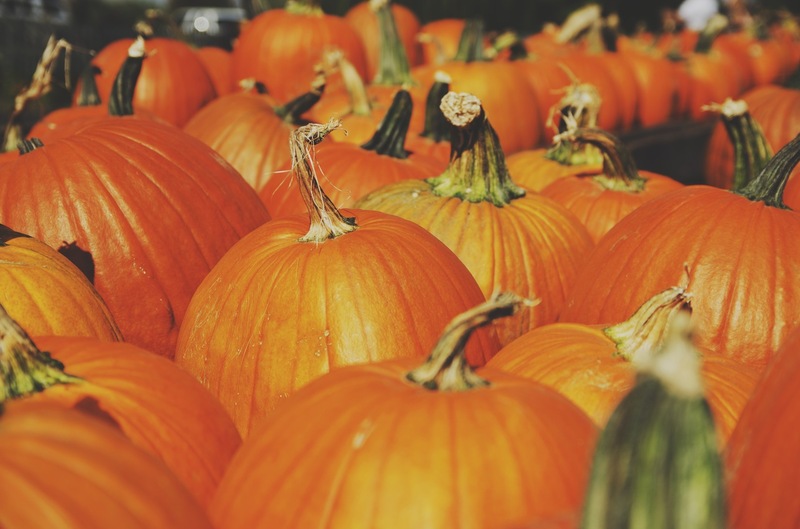 This entry was posted in Arizona, Cooking, Fall, Food, Halloween, Holidays, In Season, In the Kitchen, Recipes, Vegetables and tagged Autumn, Fall, Health, Healthy, Holiday, Pie, Pumpkin, Recipe, Sweet. Bookmark the permalink.